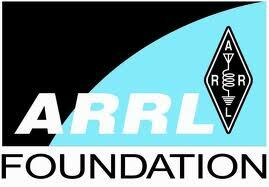 ARRL Foundation Scholarships are open to students pursuing a college degree at a two-year or four-year institution who are active licensed amateur radio operators. Seventy different scholarships are available. Each scholarship has its own criteria for eligibility. Some scholarships are for students currently attending college or residing in certain states. Others are for particular fields of study, such as electronic engineering, communications, business, computers, medical, nursing, and science. Required grade point averages vary by scholarship. In addition, ARRL Foundation offers scholarships for students with learning disabilities, high school seniors only, and graduate students. Some scholarships require demonstrated financial need or demonstrated volunteer work in the community. The scholarships are sponsored by the American Radio Relay League (ARRL) Foundation. ARRL, founded in 1914, is the largest organization supporting amateur radio operators in the U.S. It is a national organization that promotes the advancement and enjoyment of amateur radio. The deadline for this scholarship is usually in FEBRUARY of each year, and the award amount is usually $500 - 10,000.